"This place has been left empty and quiet the time the traffic route has been redirected and what a nice way to spend your time here wisely having picnics, photography sessions, play board games or just have a group chat with friends." 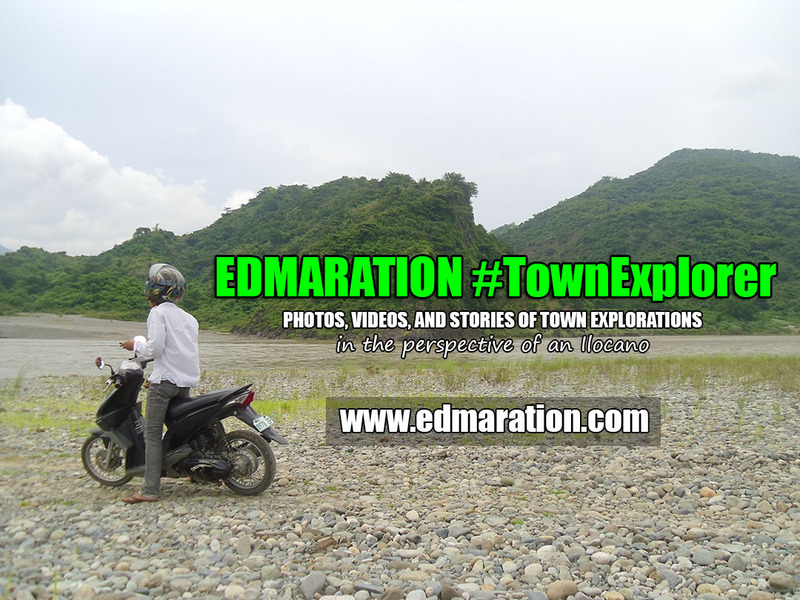 The mountains meet the mouth of the Abra River while the river separates two land masses which encompass the first and the second district of the province of Ilocos Sur being connected by two bridges of Quirino - we have the old bridge (no longer in use) and the new bridge. Yep. It was a zigzag highway carved at the side of the mountains and a quick look at your bus window is a cliff with the river below. This is still a portion of the Maharlika Highway or the Manila North Road situated in Brgy. 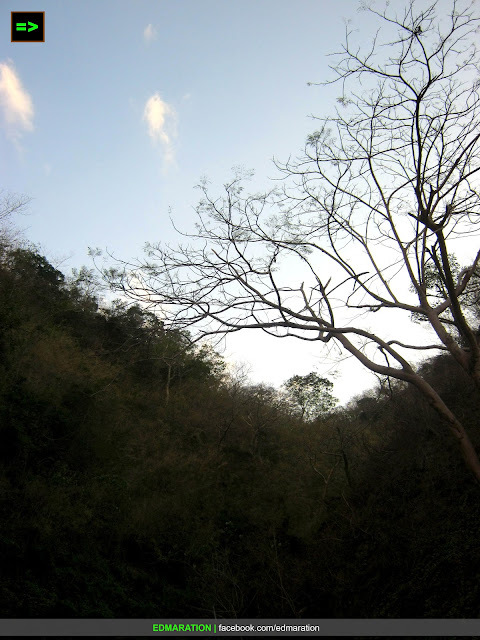 Banaoang in the municipality of Santa in Ilocos Sur. It is not advisable to speed up in this part of Maharlika Highway since the view seen from this zigzag road is eye-catchy to the extent that the driver may be pleased and overwhelmed making him out of focus on the road, lol! Seriously, it is always safe to be safe! 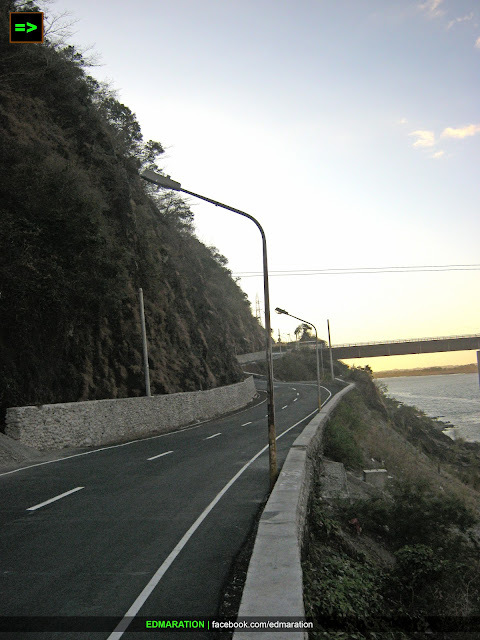 This cut of this zigzag highway is no longer in use with regular traffic routes because upon the construction of the New Quirino Bridge, the traffic route for regular vehicles are now redirected to the new bridge. I have to say hurray!!! At least now, this zone is pedestrian friendly and in fact, this zone has been a favorite hang-out of many people nearby, passers-by and even tourists that find time to stop over here to enjoy the amazing view you can see from the zigzag road. This place has been left empty and quiet the time the traffic route has been redirected and what a nice way to spend your time here wisely having picnics, photography sessions, play board games or just have a group chat with friends. The place is relaxing all day long and there is no noise since the new bridge is not too close here. You can have a leisure walk with the fresh air in this spot or take many pictures from different angles and I swear you won't be disappointed. Having a walk to this empty yet lovely zigzag highway can be a good aerobic exercise since you are inhaling the fresh river and mountain breeze just enough to burn fats on a leisurely way. If you want to get closer to the river, there is a stair here that will lead you down and from that point, you can see the satisfying view of the mountain with the sky so blue and if sunset, orange, hehe. 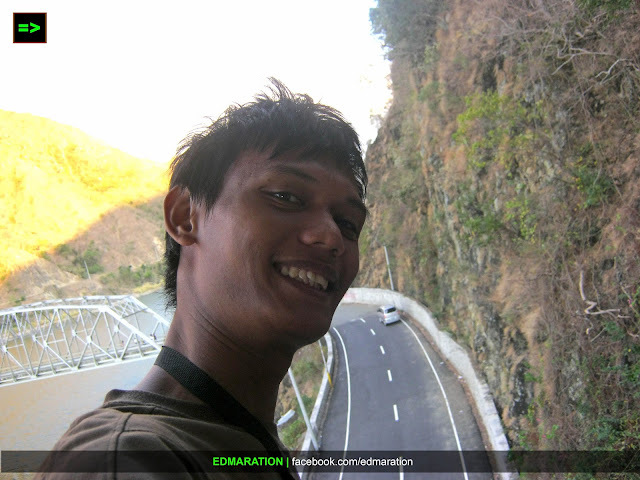 You can also see how the zigzag road of Banaoang, Santa, Ilocos Sur has been carved amazingly at the side of these rocky mountain ranges. How to commute/go to Banaoang? Visiting Banaoang can be a nice side trip for people who are going to visit Vigan so I will guide you on how to get here by commuting from Vigan. Better yet, include Banaoang in your itinerary. 1. From Vigan you could choose where to ride. If you are after convenience, choose the first three on the list. The minimum fare is 55pesos. If you are into budget travel, choose the Vigan Public Bus and Jeepney Terminal, fare is variable but for sure, it is not more than 35pesos. 2. From Vigan, tell the bus conductor to drop you to Quirino Bridge. That's it! 1. 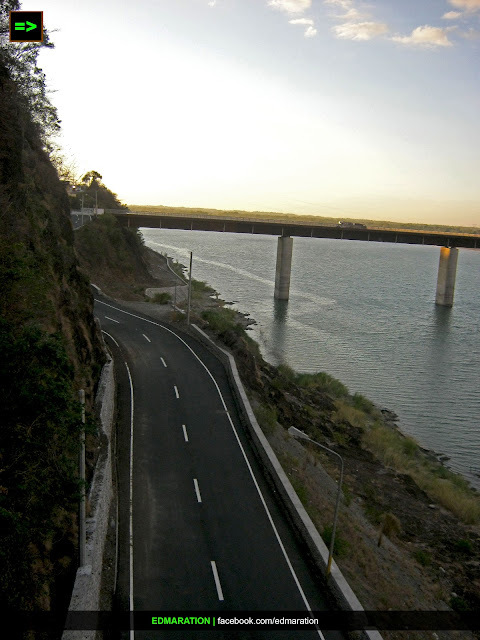 Light vehicles are allowed to enter to the zigzag roads and to the Old Quirino Bridge as well. 2. From the New Quirino Bridge (where you were dropped by the bus), walk eastward and That would be the start of this leisure walk. 3. Distance from the New Bridge to the Old Bridge is about a 200-meter leisure walk. 4. Bus ride from Vigan to Banaoang can be 20-30 minutes depending in the bus speed. 5. Please observe cleanliness and do not throw your wastes on the river or somewhere else. Don't expect to see garbage can, this is a discipline zone so be sure to bring your wastes where you came from. 6. Banaoang is the site of the soon to open Ilocos Sur Adventure Zone where you can have zipline, kayaking, rappelling at the old bridge, zorb ball and rock climbing. 7. You can go down the river. There is a stair at the south and north side. @Ate Claire, sinabi mo pa. Kakarelax! eto ata yung nadadaanan ko dati pag papunta vigan? tama ba? haha. wala tlga akong idea sa mga nadadaanan papuntang Ilocos.. lagi kasing gabi yung travel. Yay! Next time mag-day trip ka, haha.. Photos pa lang, nakikinita ko kung gaano kasarap mag road trip dito. :) naalala ko tuloy ang recent 3 days road trip ko sa ILOCOS. Hahahaha. Loving the photos, especially the first one! 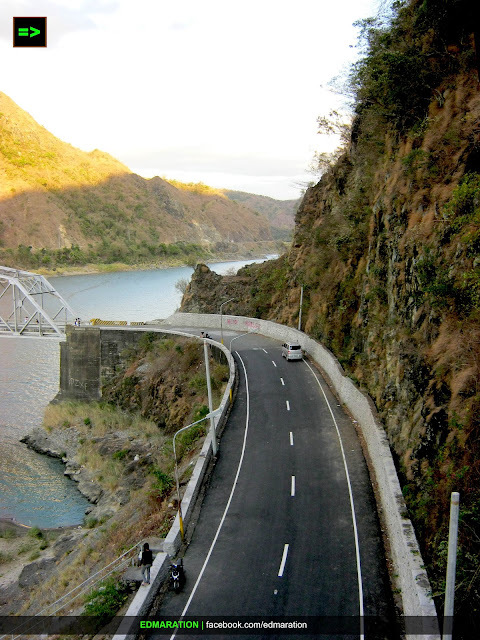 :) Parang ang sarap magroad-trip dyan :) Hope I can go to Banaoang some time soon. @Sumi, Yep! Not just road trip. Even food trip or picnic with friends while seeing the view. The panoramic view creates a feeling of melancholy. It seems like to me as the road less traveled. Nonetheless...those pictures are beautifully captured. 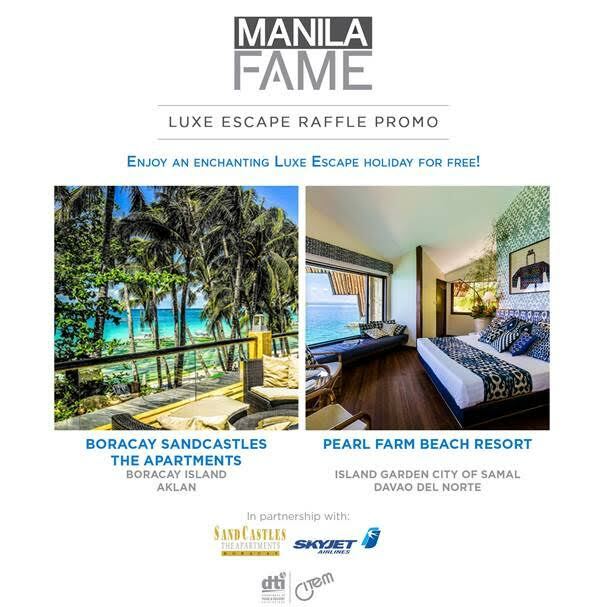 gusto ko to puntahan! salamat at ibinahagi mo to. around 500+ for most buses, if you use Aniceto Bus, mga less than 500 pesos. ayos ang trip mo ha! Super adventure kitang-kita sa litrato. very pretty photos. the roads look like those kinds I see on Indian movies. I've never been to Ilocos and this post makes me wanting to explore it as soon as I have enough time. A new bridge for me to appreciate. 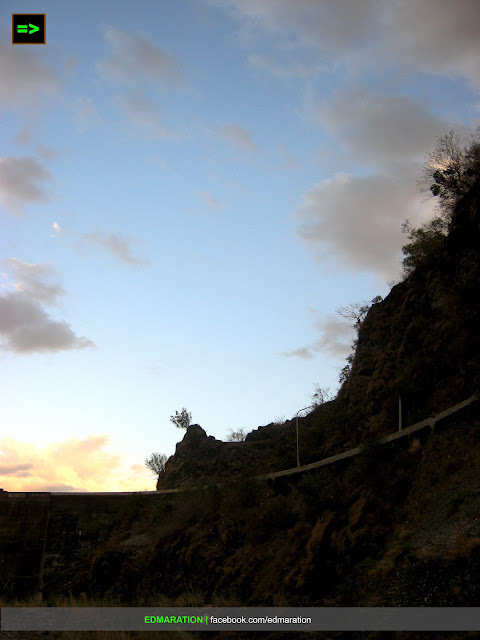 This is, of course an added tourist attraction for this place in Abra. The view is wonderful, picturesque. However, I'm too pessimistic, but I'm just too concern about the safety of this bridge. Is it now prone to earthquake? I'm afraid some of those freak minded teenagers will just take a trip there and dare to jump off the bridge. Hope those things will not happen. God forbids! nice!! a view from above! Ive got only a few picture of this one! I thought it is from other country, ganda! I hope we could visit it this summer. Wow the Philippines is such a wonderful place. Thanks for the pics! 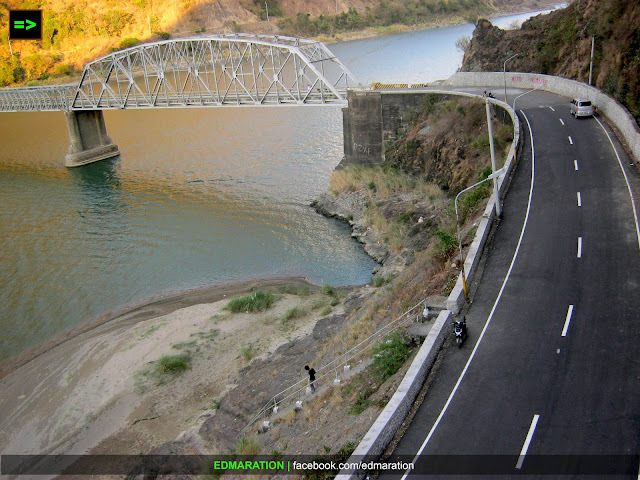 @Sir Gil, this part is not in Abra, it's within Ilocos Sur but the river is called Abra River. @Cha Sy, Yes, it was wrong spelling, thanks for correcting. Noted! Galing-galing..magala din ako. Love your blog name EDMARATION! This must be so dangerous.... Hmmmm..
Nakakatakot nga yan. Dati nagbyahe ako gabi pa tapos harapan ako ng bus. Grabe, feeling ko malalaglag kami. Pero ayus un experience! i admire places like these. im such a nature lover though it is more on the industrial side already but the river still counts. looking forward to be here. Ang ganda talaga ng Pinas - Its Fun to be in the Philippines. wow ang ganda! kaso parang nakakatakot mag drive tabi kasi ng cliff.. 3rd day ko palang nag-da-drive e.. i'm super duwag pa.. hehe..
sarap mag road trip! hhmmm hindi po ba delikado diyan? lapit ba to sa vigan? would love to go!!!! Yan ang mga roads na pagdarasal mo na nasa huwisyo lagi ang driver. One wrong move and you're out. I don't normally pay attention to concrete roads when I travel. But this one is definitely worth a second look. I hope to pass by this zig-zag road one day. Ganda ng mga mga angles ng mga kuha mo sa photographs. Congrats! Cguro ang tagal natapos ang bridge nato ano? dahil sa cut edges of the mountain. :-).